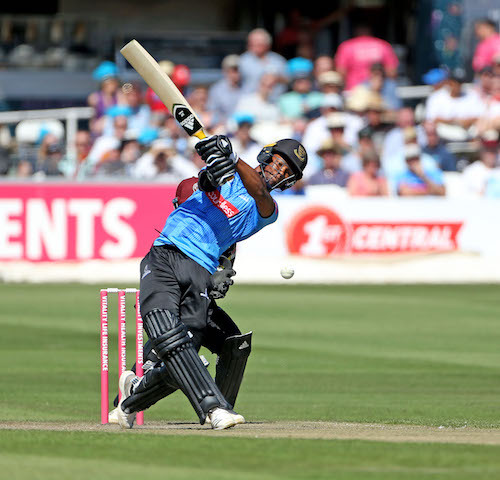 Delray Rawlins and his Sussex teammates have arrived in the North East ahead of Friday night’s Vitality Blast Quarter-Final against Durham at Emirates Riverside (6.30pm start). The same 14-man squad selected ahead of last Friday’s final group game against Middlesex has made the trip. Sussex are in fine form having finished the south group in the same way that they started it; with three wins. Sussex went into each of those final matches knowing that defeat would likely eliminate them from the competition and so can be said to have already played three knockout matches already, something that should stand the side in good stead for their first quarter final since 2015. Phil Salt goes into the match having made 60 off 30 balls, 66 off 25 and 148 off 138 in his last three matches, the latter coming in the second innings of Sussex’s Championship victory over Derbyshire earlier this week. In the Vitality Blast so far, the 21-year-old has 321 runs from his eleven innings at a strike rate of over 170 runs per 100 balls. Laurie Evans is the Sharks’ leading run-scorer in the tournament so far. His 491 runs at an average of 70.14 put him sixth overall in the run-scorers list and second out of those players still involved in the tournament. On the bowling front, Jofra Archer is the Sharks’ leading wicket-taker with 17 (the same number as Rashid Khan who has now departed for international duty). Tymal Mills is one wicket away from his 100th in T20 cricket.